Within days of release, a hacker has released a cracked multiplayer version of Modern Warfare 2 which reportedly provides the game with dedicated server support. It was quite the controversy when Infinity Ward announced that there would be no servers dedicated for the PC version of Modern Warfare 2. It was a triple-slap for PC gamers who would have none of the mod support they had come to expect in an FPS, LANs would only work with an internet connection, and multiplayer matches would use the same matchmaking system that console gamers use. Many predicted that there would be some kind of workaround, but few thought it would come so soon. In fact, a cracked version of MW2 was released on Friday by a coder on the teknogods forums. 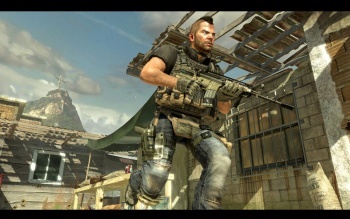 According to a report from GossipGamers, the crack allows gamers to host games through IWNet, Infinity Ward's multiplayer service, and receive at least some of the benefits of the leaderboards and statistic tracking. GossipGamers also states that all the rooms on the server are working and are full to capacity. You can also host games through a LAN using this crack. Honestly though, with subscriptions and the attempted homogenization of PC and console gamers in big games like MW2, I don't see Infinity Ward or Activision backing down anytime soon. Update: Conflicting information has been released suggesting that the crack only supports cooperative "Spec Ops" with both players logged into Steam, and that full multiplayer and dedicated servers are not yet possible.